...I have NEVER seen it this bad, and the Sacramento TV stations have in the past week nearly pre-empted every other commercial message to run truly terrible campaign ads, mostly for local congressional seats - so loaded with gross misrepresentations which anyone who has had a middle-school civics class shoud be able to see through - that I'm almost convinced that the whole purpose of elections is to fatten up the accounts of broadcasters, on all the money they make during election season from running these. It's like Election Season for broadcasters is the equivalent of Christmas Shopping Season for retailers. ...AND I am so fed up with reading some candidate's bio describing them as "Small Business Owner" and using that as their credentials for "fixing the economy". 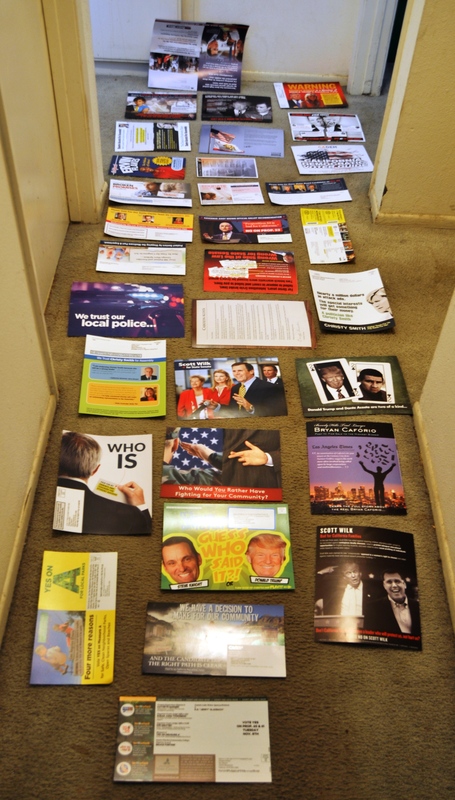 I'm seeing these in elections from congressman down through county supervisor, city council, even schoolboard seat. Claiming that because you've had the experience of trying to run a dry cleaning business or a car tune-up shop or running a local restaurant gives you the knowledge to manage "The Economy" is like claiming you understand the complex hydrodynamics of the currents of the Pacific Ocean and their effect on Climate, just because you've had an occasional bath in a bathtub.